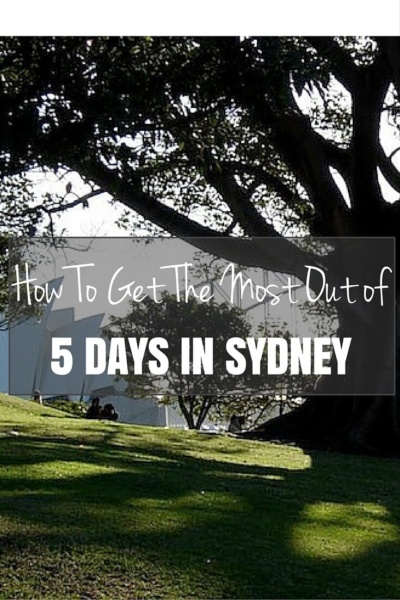 You have 5 days to explore Sydney? That’s not a lot of time. That’s okay. We’ll help you out. Put your favorite walking shoes on because you’re going to need them! Sydney is a walkable city but you will still walk your feet off. There’s a LOT to see and do and you want to get the most out of your time, right?! Let’s start by getting your bearings. Beginning at Circular Quay, try not to get sidetracked too much by the numerous buskers performing in the area. You’ll likely hear the unique sounds of the didgeridoo coming from the end of the Quay. Those guys tend to be there all the time now. 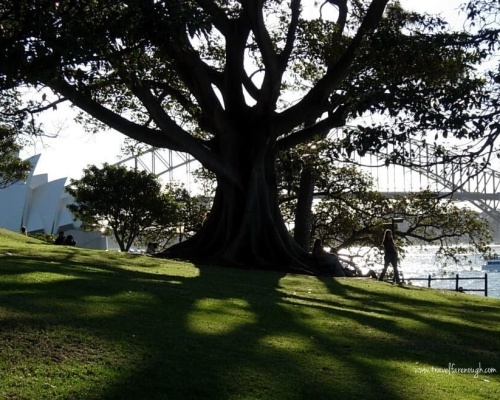 As you explore The Rocks, the area between Circular Quay and the Harbour Bridge, imagine yourself back in Colonial times as you explore area. See Cadman’s Cottage, built in 1816, the oldest house in The Rocks, as well as hundreds of other heritage sites and buildings in the district. Walk on the original wooden cobble used for the roads near the Holiday Inn. Stoll towards Dawes Point for awesome views of the “Coat Hanger” and The Sydney Opera House. If it’s a Saturday, wander through The Rocks Markets. You can find some unique gems here. If you’re looking for souvenirs, this is the place. If you are on a tight budget however, there is a great shop above ‘Pancake at the Rocks’ called Natural Selection Souvenirs. We have bought tons of things in this shop for overseas friends and family, including laminated eucalyptus leaf bookmarks. Stop for lunch at the Museum of Contemporary Art. Fair warning, on a sunny, warm day, you may be tempted to sit near the window for the marvelous views of the Harbour. That might be a mistake. All too soon you will feel like an ant under a magnifying glass. It’s gets mighty warm cozied up to the glass. When you’ve filled your belly, head towards the majestic Opera House for the photo opportunities of a lifetime as you admire the sails soaring into the sky. Wander around. Touch the tiles. Just as cool, check out the bathrooms. They are an architectural wonder. For the 1960’s, the design is before its time. When you reach the headland of Mrs Macquarie’s Chair, get the camera out. There are some fabulous views from here. These are the photos you’ll be posting on social media for sure. It’s the spot where many pros take their photos of Sydney. Stop for an ice-cream at the kiosk near Mrs. Macquarie’s Chair. Tin Tam is our family favourite, but all flavours are good. So far, that’s just the Harbour. 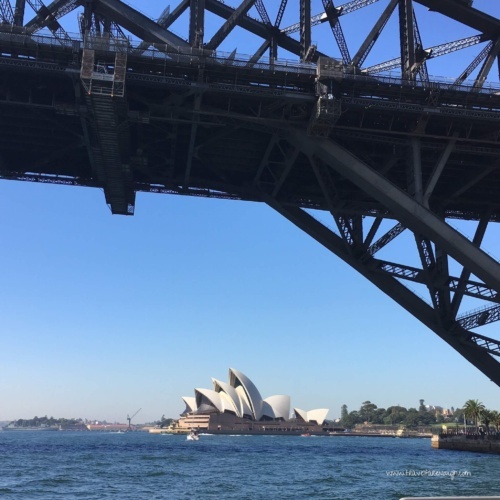 There’s so much to see in Sydney that really you need a few weeks: The Sydney Museum, and the Police and Justice Museum in the vicinity of Circular Quay. The Powerhouse Museum and the Australian National Maritime Museum are located at Darling Harbour if museums are your thing. 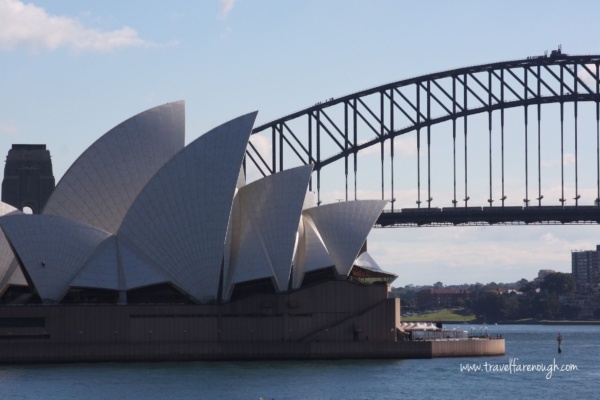 Check out our post “Your Ultimate Day in Sydney” if you have only one day in Sydney. 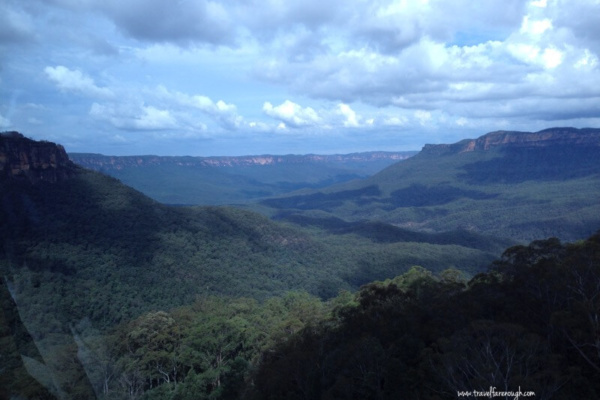 Take a break from walking and navigate your way to the Blue Mountains, about 2 hours west of Sydney CBD. Indulge in a lavish high tea at the Hydro Majestic while you enjoy picturesque views overlooking the Jamison Valley. 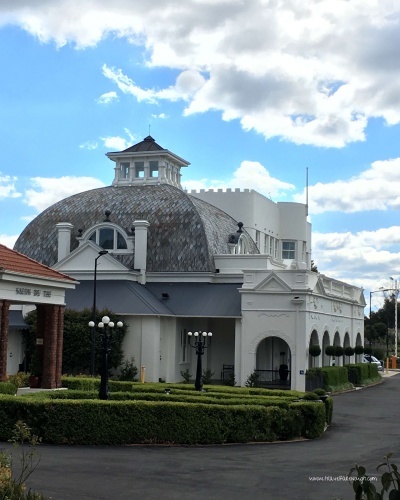 Venture a bit further to the highest peak in Australia in the quaint village of Blackheath. If you’re here in winter, it may snow. There are a number of excellent walking tracks (if you’re up for it) which lead into the valley below from some spectacular lookouts. The village offers all the amenities a visitor might need –cafes, restaurants, hotels, antiques, art galleries, and bookshops. If you’re not averse to crowds of tourists, drive back toward Katoomba. The lookout at Echo Point offers some incredible views of the Three Sisters rock formation. The dreamtime story about the Three Sisters is one to read, so if you decide to visit them, check out the story here before you go. 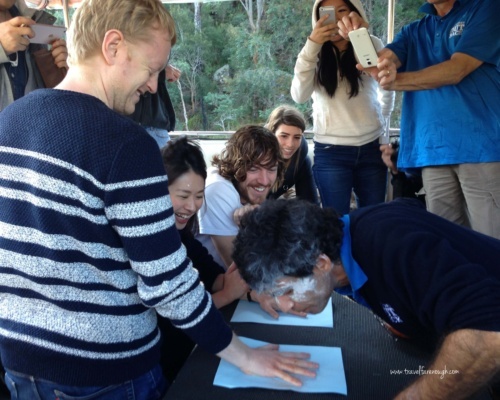 We wrote a post on whether Scenic World is worth the price of the ticket. Scenic World will take you down into the valley where you can discover waterfalls and a lovely rainforest walk. If you do decide to do this, we recommend you taking Railway down and the Sky Cable back up. Take to the seas like a local and explore the Harbour. 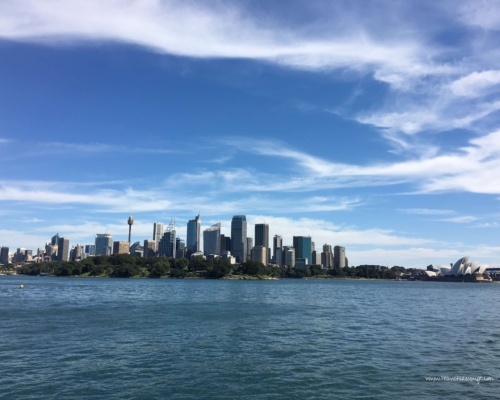 We recommend the Hop on/Hop Off Cruise with Captain Cook Cruises. A number of cruises are available and there is no better way to spend the day than on the water. The salty air and the cooling breeze feels amazing. 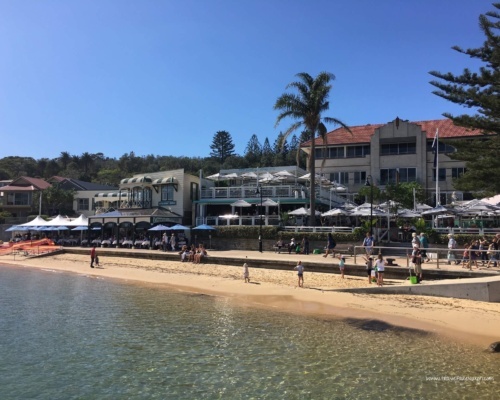 Take the ferry to Manly beach or Watson’s Bay to enjoy some delicious seafood. Stop off at Fort Denison for some interesting history and picture perfect views of the Harbour Bridge and Opera House. You can discover some hidden gems as well. Check out our post here for getting the most out of your Captain Cook Cruise. Time to hit the beach! With miles of golden sand available, it’s not hard to find a spot to lay your towel down. Go swimming, surfing, stand up paddle boarding or simply let the sun’s rays wash over you as you relax as the sapphire waves crash down. You can’t come all the way to Australia without getting a tan (safely, of course. The sun can be brutal if you are not careful). 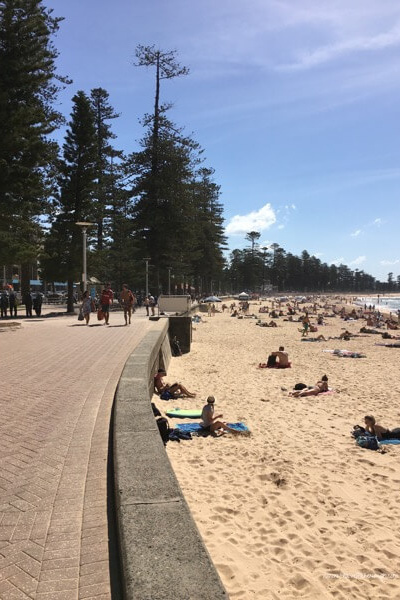 Bondi Beach is Sydney’s most famous beach, but we find that the beaches around Manly are far more enjoyable. For snorkelers, Shelly Beach is a must do! If the beach isn’t for you, that’s okay. 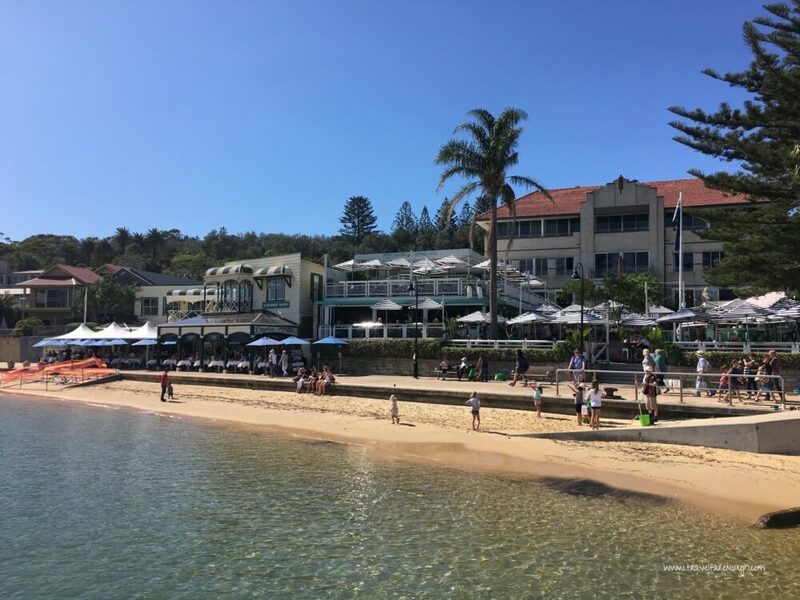 Manly is still worth a visit. It is the best example within the CBD to show you what the Aussie Beach Culture is all about. You can get fish and chips for lunch and people watch as you fend of the seagulls. You can walk over to Shelly Beach and check out the public bath while watching the surfers. Time to experience Australia’s Indigenous Culture. 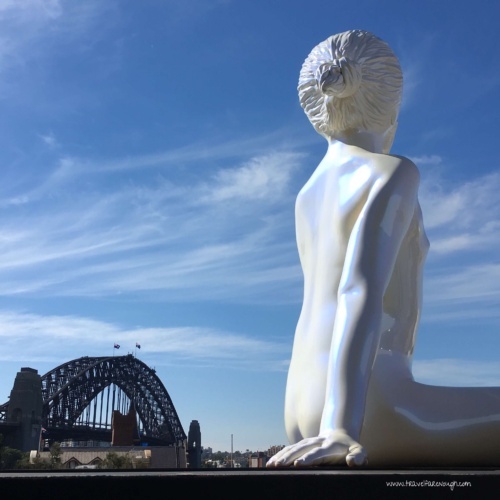 If you need a break from the museums, check out Sydney Out Back. Stay outdoors and immerse yourself in an Aboriginal Experience that will blow your mind. The tour is pricy but well worth it. The journey begins in the CBD with a bus ride out to Mt. Ku-Ring-Gai Chase National Park. From here, your Aboriginal guide welcomes you to his country. You’ll hear the stories behind the authentic aboriginal rock art you’ll see. From there, you’ll enjoy a cruising on the Hawkesbury River on a luxury catamaran. A bush tucker inspired lunch is included so if you have ever wanted to try kangaroo, this is your chance. It’s also a chance to try your hand at playing a didgeridoo. No pressure! Phew! That’s a lot to pack into five days and we’ve barely scratched the surface of what Sydney has to offer. That means you’ll either have to miss your plane home or start planning your return as you head onwards.